Hello everyone. I hope you all had a great Memorial Day weekend. The unsettled weather plaguing the northeastern United States continued for much of the long weekend. No abundant sunshine or warm air... Just plenty of rounds of showers. But I am thankful for having a few extra days home. I've had a whirlwind of non-stop activities for the last few weeks. Last Friday, my husband and I went to Ikea to look for a cabinet that would store my growing collection of table linens. While browsing through their Home Department, I came across Ikea's Summer 2017 tabletop collection. What a pleasant surprise!! I love the Bohemian vibe and unexpected mixture of pretty colors and patterns. So many beautiful patterns to choose from that is was stuff to select just one. But considering the affordable prices, one does not have to feel terribly guilty if you walk away with more. I selected the pattern called Sommar in a pretty shade of green. 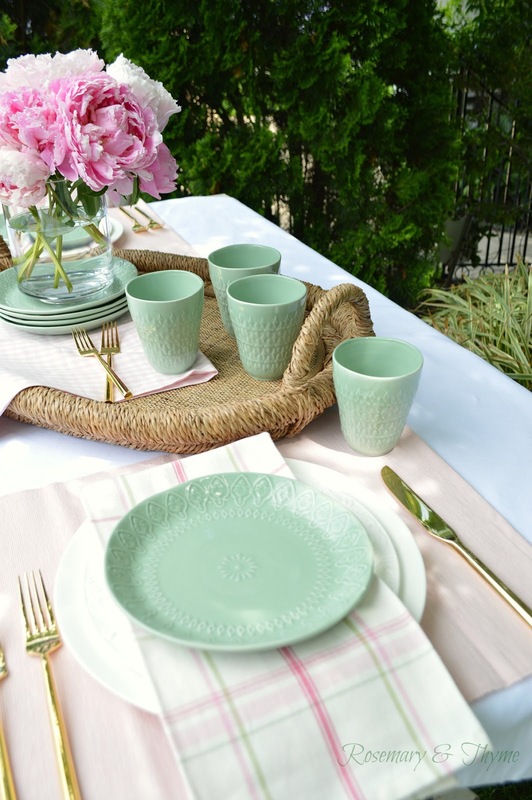 It is ideal for casual entertaining and perfect to mix-and-match with other dinnerware. 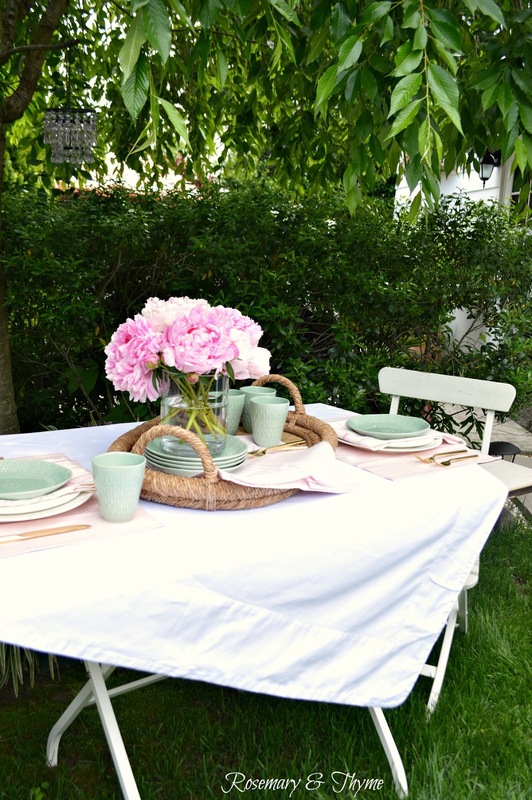 For this relaxed table for two, I started with your basic white plates. 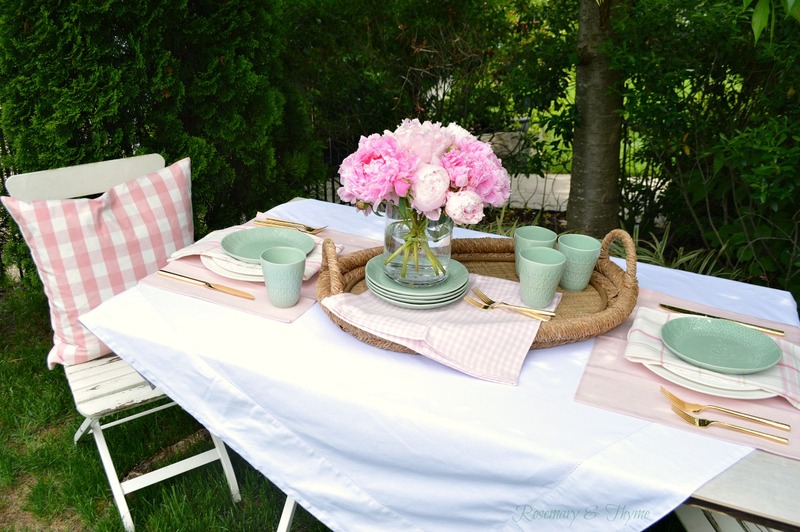 I then added a dishtowel with shades of pink and green which helped me showcase my gorgeous Peonies which I picked from my garden. Aren't they spectacular? 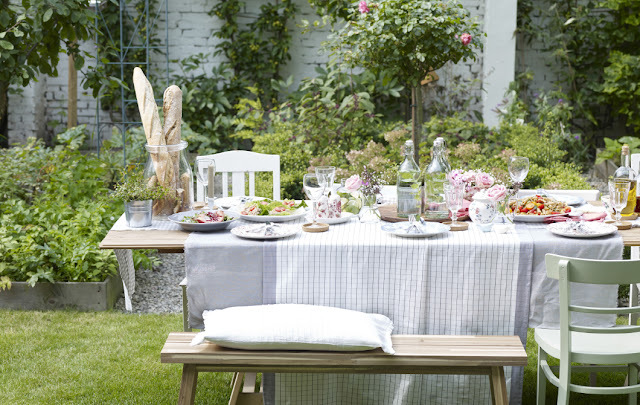 Here are a few pretty tables styled by Ikea that I thought you would find inspiring as well as a few examples of the new tabletop patterns available this year. 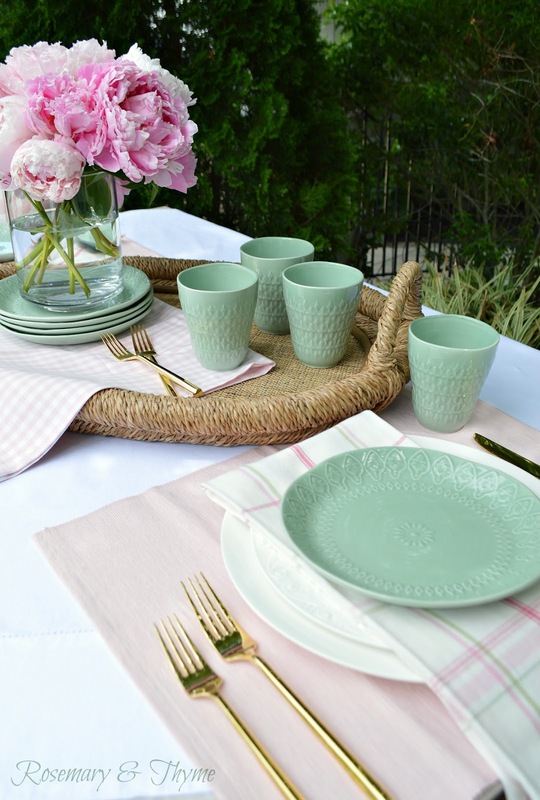 These new tabletop offerings will make entertaining fun and very fashionable. It goes to show you that great style does not have to cost a fortune. Thanks for visiting. I hope you all have a fabulous week. Thank you Elizabeth. You are very kind. I do agree, style does not have to be expensive. It is about finding what works. Decorating your meal gives you a good feeling. It's joyful and tasteful. Summer in the garden or on the vacation is great, if you stay at such a table. I love everything and love the sweet colors I see here! 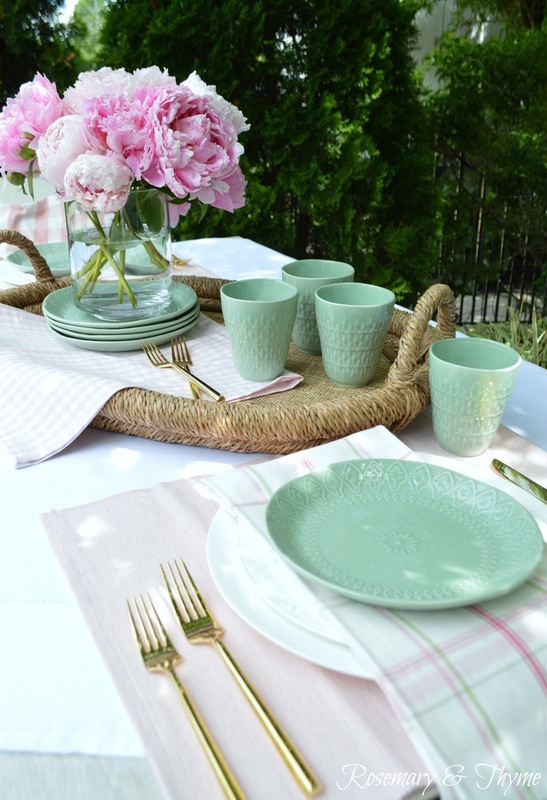 The table setting is so pretty and perfect for summer. (Sorry. I deleted 1st comment for typos while using phone). Oh, I love it, Janet! So pretty. 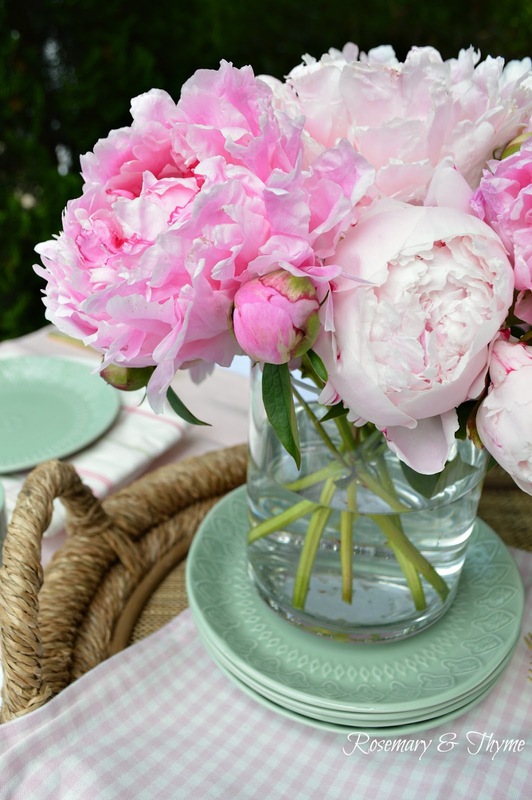 I'll have to convince Carl that we need to go to Ikea, now. . .Pretty peonies, too! Ours are just getting started. Shame that they don't last longer. 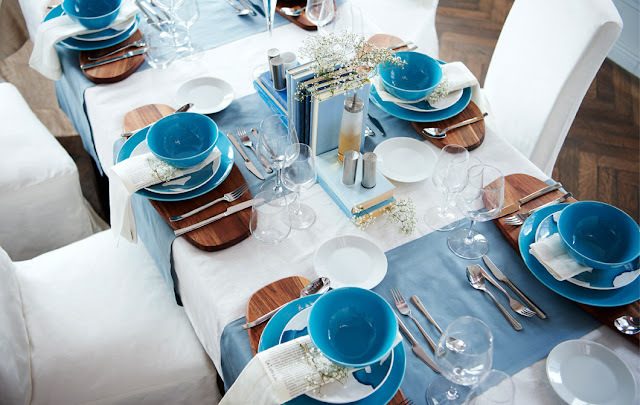 your table arrangement looks lovely! 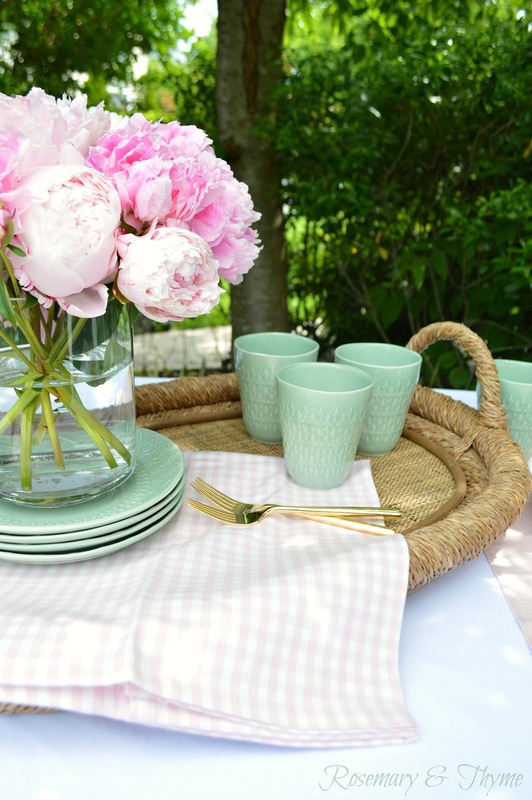 I love peonies and I think the pink peonies look great in combination with this beautiful green colour! 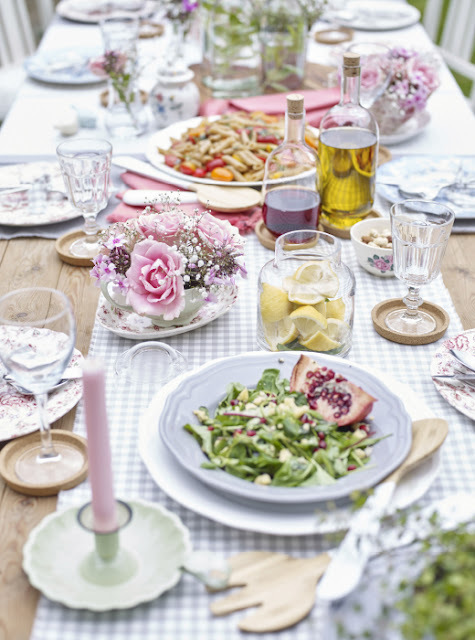 I thank you wholeheartedly for the lovely and cheerful tablescapes you've shared, they talk about Summer and the time we do spend happily together with friends ! Such a lovely post! 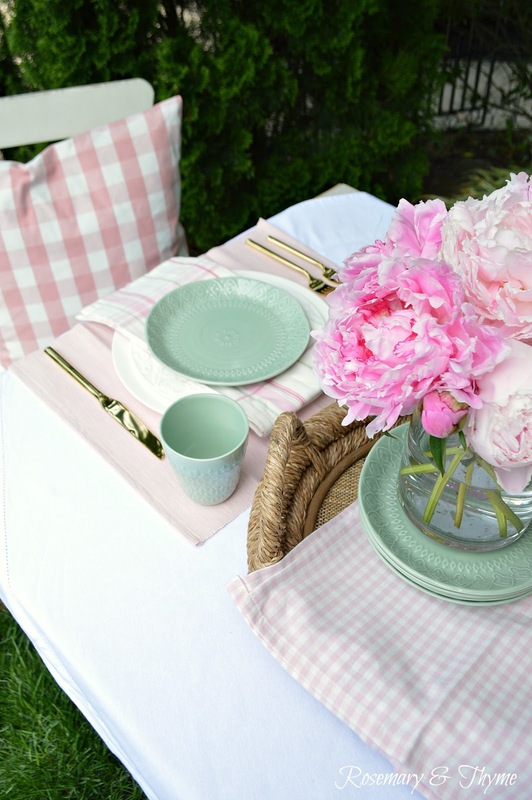 Love the tablescapes....makes me want to get adventurous here in Texas!